Shaolin Kung Fu is an external martial art style which means the focus is on conditioning the physical body through exercises and forms designed to strengthen and tone muscles, bones, tendons, and ligaments. Consistent training improves coordination and flexibility. This is a good art for both children and adults. Taijiquan is one of the three major internal martial arts styles that uses relaxed and connected motion to cultivate internal energy that strengthens internal organs, improves blood circulation, deepens breathing, focuses the mind. This internal martial art style is well-known in the western world and often recommended by health practitioners for improving overall physical health. Baguazhang is one of the three major internal martial arts styles that uses circular stepping patterns and coiling body motions to deflect an opponent’s attack. The style was created by master Dong Hai-Chuan in the Qing Dynasty and is based on the I Ching or Book of Changes. Because of its unique circular and coiling physical movements, it is also very beneficial for health. Xingyiquan is one of the three major internal martial arts styles that uses coordinated movements to generate explosive power in straight-line attacks applied from a short range. It has been used for over several hundred years in the training of soldiers and bodyguards in China. The style is based on the five elements theory and mimics the natural attacking movements of twelve major animals. Dai Style Xinyiquan is the precursor to Xingyiquan. Its deep focus is on developing whole body power through contraction and expansion to build the body’s core engine (dantian), and then applying this unique body/power structure for close range striking using the head, shoulders, elbows, hips, knees, and feet. The transmission of this art has been a closed-door secret for hundreds of years until the 1980s, and even today there are only a handful of masters who are teaching this art. From the age of five, Grandmaster Li Tai Liang has practiced, studied, and inwardly cultivated both the traditional martial arts and modern fighting arts, and he has taught them for over 40 years. Grandmaster Li has taught at Shaolin Temple in China, Chinese Special Police Force, and the Beijing Sanshou / Kickboxing Team. His intimate knowledge of these arts provided the foundation from which he developed his own system Xinyi-Dao, so that he could make accessible to everyone the essence and essential elements of the traditional and modern fighting arts. With his step-by-step process, Grandmaster Li designed Xinyi-Dao so the lay person or the martial artist could succeed in building a true martial arts foundation: proper body structure, whole body strength that is connected to and powered by the body’s core engine (dantian), refined yet simple practical self-defense techniques, and enhanced mental concentration and awareness. By applying Xinyi-Dao System’s training formula, a person of any martial arts experience, or a beginner, can develop competent martial arts skills, and an overall strong physique from the inside out. For advanced martial arts practitioners, Xinyi-Dao can guide them to achieve a deeper level of mind/body connection, conscious control over their martial arts techniques, and efficient use of their body’s cultivated power for overcoming any limitations of physical strength. 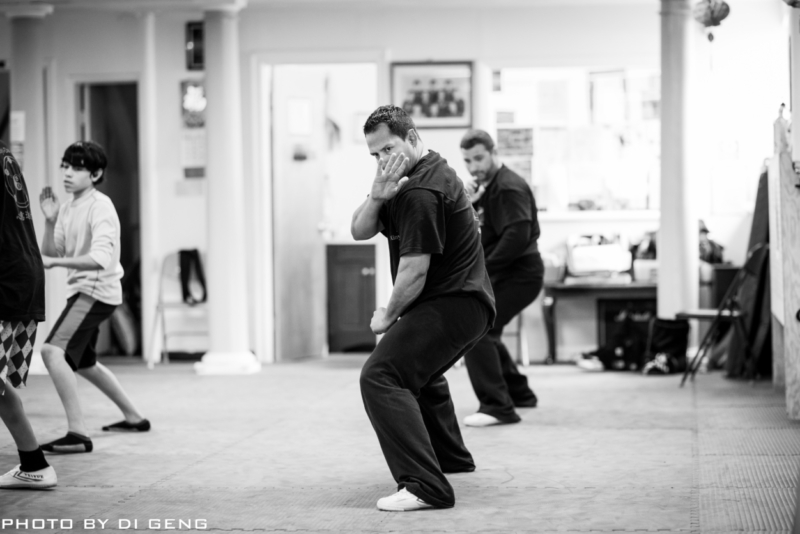 Xinyi-Dao System is accessible to everyone and is designed by a Master Martial Artist to give step-by-step blocks for achieving personal success. Xinyi-Dao System allows practitioners to move at their own pace under the guiding hand of an dedicated teacher. Cultivating the Zen State of Mind, XINYI-DAO Offers Something For Everyone!